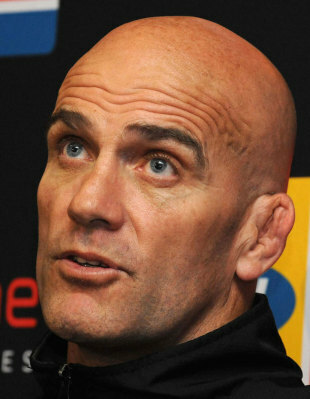 The fall for former All Blacks coach John Mitchell has been considerable, and he has just accepted a role as coach of the University of KwaZulu-Natal in Durban. Mitchell held arguably the top job in rugby from 2001 to 2003 before he was sacked after losing in the semi-finals of the 2003 World Cup. Since then he has held a number of jobs but his style has not always gone down well. He was briefly suspended in 2010 after players at South African side the Lions complained about the way he treated them. Mitchell, who has most recently been working as a TV analyst, said he would "put his ego aside" to lead a side in South Africa's second-tier Varsity Shield competition that involves just five teams. He added he wanted to put something back into the community after living in Durban for 18 months, even if the role was a considerable step down from his previous jobs. " "I have been living in Durban now since June 2012, and my wife is from there as well," he said. "I was with Supersport and took the opportunity to put something back into the community on my own back doorstep. "Ultimately we coach because we want to serve young men in terms of teaching them and inspiring them to become winners in life." He has assembled three assistant coaches at UKZN, including former Springboks playmaker Butch James. "I haven't watched [UKZN] at all so the past means nothing to me. It is all about sticking to the formulas that I have used in my past and making sure we have got enough depth."